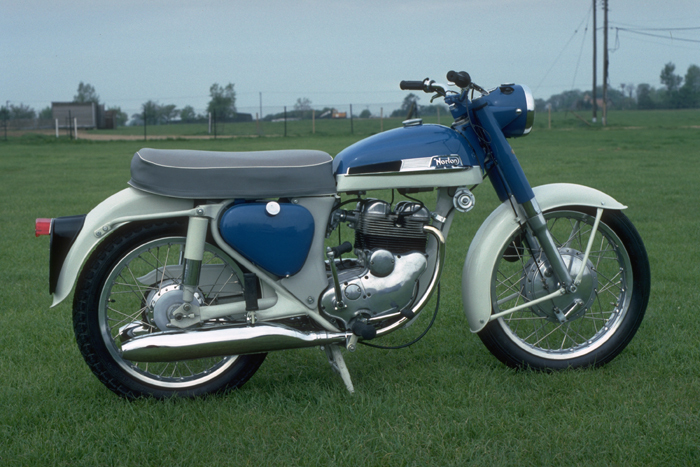 The Jubilee was launched in late 1958 and so named to mark Norton's 60 years as a motorcycle manufacturer. The engine was a completely new design by Bert Hopwood who had also been responsible some ten years earlier for the Dominator engine design. 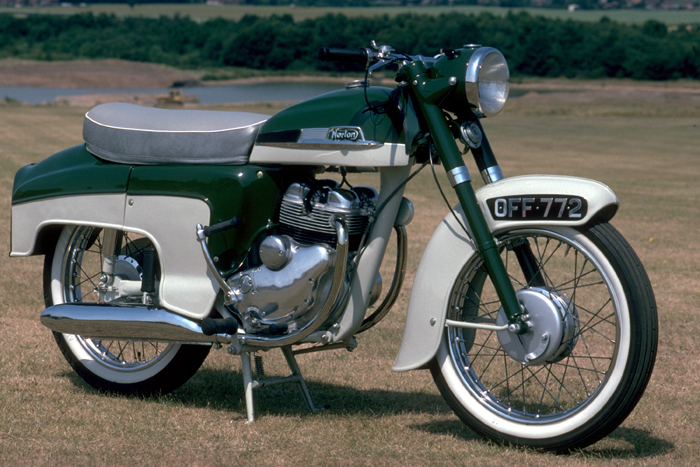 It was the first Norton to feature a unit construction engine and gearbox. 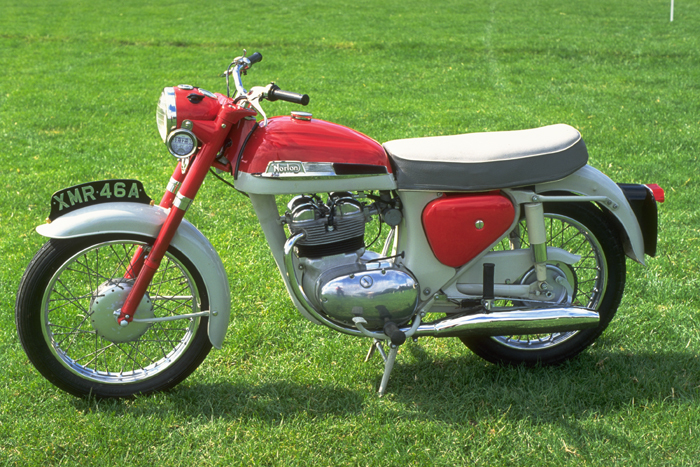 Although the engine was a new design, the frame, gearbox internals, front forks and brakes were all taken from other machines in the AMC parent group's range. Originally offered in De Luxe trim with a rear end enclosure until 1964, the Standard model arrived in 1961, continuing in production until 1966. It is perhaps the least appreciated of Nortons owing to its sedate performance, having the smallest engine of any machine ever produced by Norton. Introduced at the 1960 Earls Court Show in Standard and De Luxe versions, the Navigator is a larger version of the Jubilee, easily recognised by the Roadholder forks and an 8" Dominator front brake. It had revised frame geometry for extra strength and a cylinder block cast in one piece, compared with the Jubilee's two separate castings; although both models had two part cylinder heads. 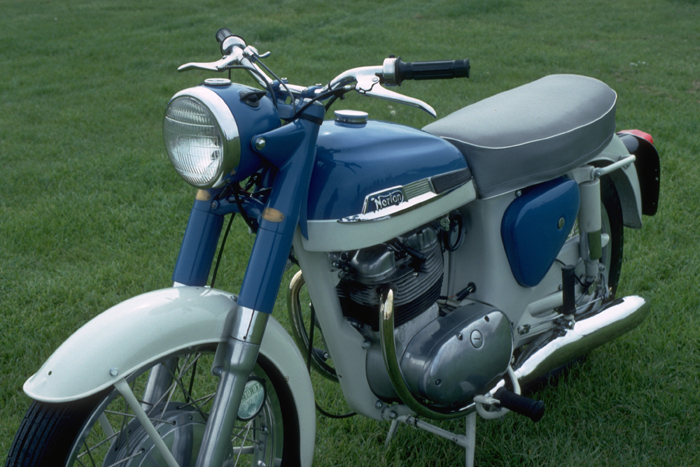 Early versions had a two tone paint job, dove grey / black on the De Luxe and dove grey / blue on the Standard. From October 1962, the Standard's colour options were changed to black and polychromatic blue, black seats with white piping were fitted, and after the move to Plumstead in 1963, production of the De Luxe ceased at the end of that year. 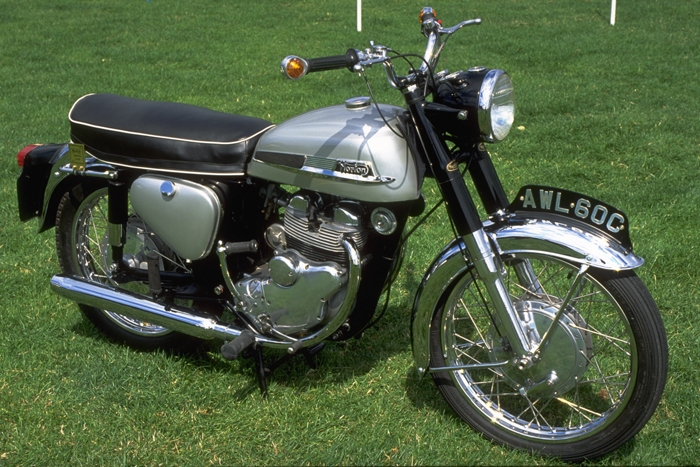 Wider front forks were fitted and a steering lock, before the last Navigator came off the production line in 1965. The top speed is just under 90 m.p.h. with petrol consumption in the mid '50s or better. 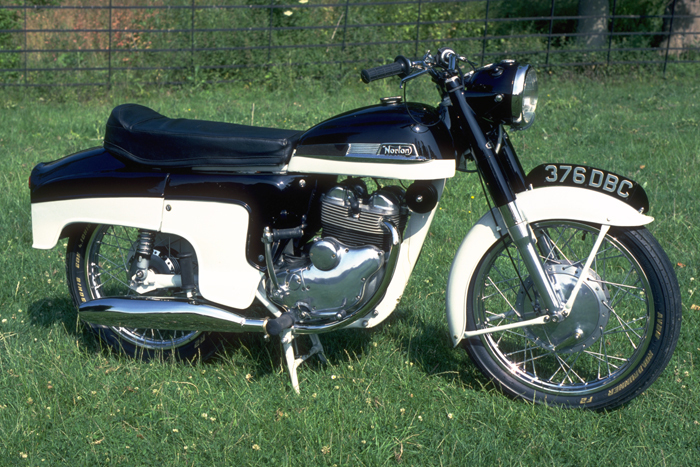 This infrequently seen model is notable as the first Norton to feature an electric starter (there were only ever two machines built with electric start anyway). 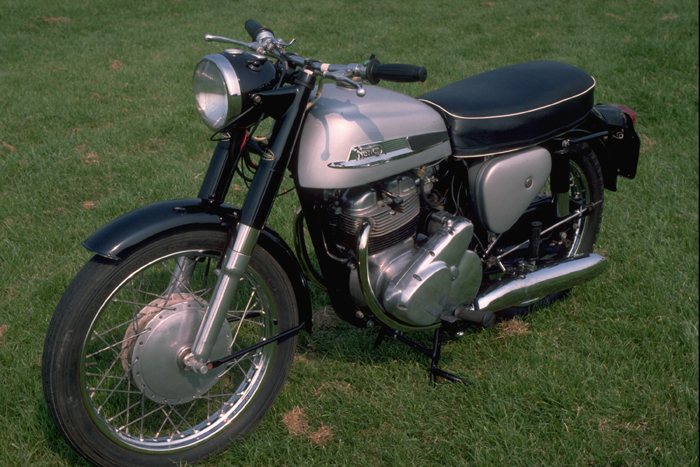 Only in production from 1963 to 1965, its engine is a slightly enlarged version of that fitted to the 350cc Navigator, with which it shares most of its cycle parts, though the frame is strengthened and a 7" rear brake fitted as on the Dominator twins. Direction indicators fitted into the end of the handlebars are a distinguishing feature. 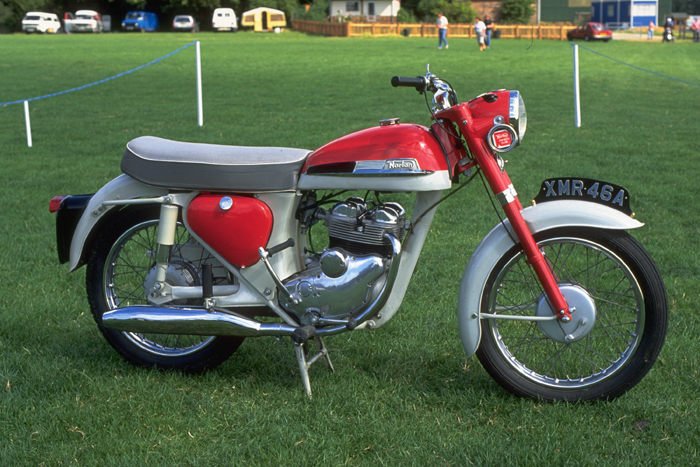 Chrome plated mudguards were standard on export bikes in 1963 and on the home market ones from the following year. The cylinder is overbored in order to obtain the extra cubic capacity and there were some modifications made to the crankcase because of this. Gearbox internals also differ from those fitted to the smaller machine.